I’m back from a long weekend out of town and don’t have time to go deep with All The Eclipse-inspired Thoughts I’m having this morning, so I thought it would be fun to create a playlist of sun- and moon-themed songs to play during eclipse viewing. Please do chime in with your favorite, or share good songs I’ve missed. And for the moon songs? And because this is an Event for the Ages, I believe it’s absolutely appropriate to end with one of my top favorite songs of all time: 100 Years by Five for Fighting, a reminder of life’s brevity. Today is a day we’ll remember for the rest of our lives. 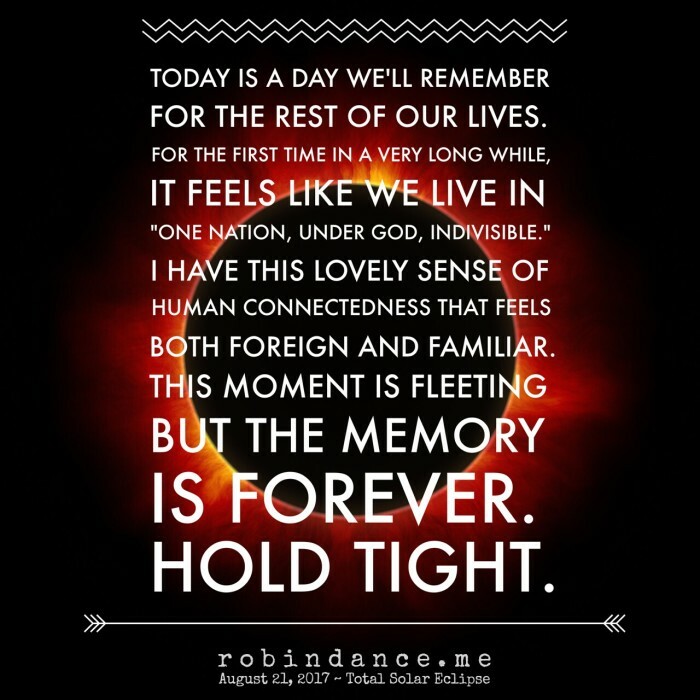 For the first time in a very long while, it feels like we live in “one Nation, under God, indivisible.” I have this lovely sense of human connectedness that feels both foreign and familiar. 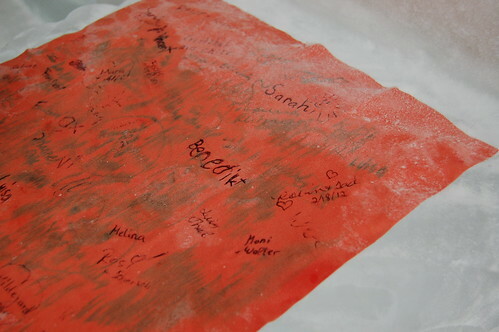 This moment is fleeting but the memory is forever. To learn my answer, please click to read Stones of Remembrance: A Tale of Three Rocks over at incourage There was much delight in writing it, and the comments have inspired me right back :). What a fun welcome to our morning! Nothin’ says “hello” more cheerfully than a present puffed in pink tissue, yes? Next, we dove into a true Southern breakfast; I’m not sure there’s anything healthy about it, but my goodness it was yummy. My favorites! Scrambled eggs, biscuits, potatoes, sausage and EVERY SOUTHERNER’S LOVE LANGUAGE–Grits! Cracker Barrel ain’t got nothin’ on my friend Paige. I love breakfast food – every breakfast food – and I seem to love every breakfast drink, too. My husband jokes about how my breakfast beverage bill is higher than my breakfast food bill when we go out. Now that I think about it, I’m not sure he’s actually j o k i n g ….. The thing about squirrels is they’re, well…squirrely. Sammy, in particular, likes to climb inside your shirt and crawl around, and when Paige reminded me his claws were sharp because, you know, they climb trees upside down, it was the perfect time to return him to his cage. Where Sammy is furry, warm and cuddly, Kevin is slick, cool and standoffish. Then, again, Kevin is a snake. If it’s possible for snakes to be pretty, Kevin is. Snakes fascinate me. If I’m 100% IT’S NOT GOING TO SINK ITS FANGS INTO ME AND INJECT SNAKE VENOM *OR* WRAP ITSELF AROUND MY THROAT AND SUFFOCATE ME, I like to hold them. I’ve never seen a snake eat before IN REAL LIFE so when Paige asked if I wanted to feed him, I chomped at the chance. Apparently Kevin hadn’t been fed in a while because when she reached in to grab him, he BIT her! AND DREW BLOOD! She’s had him 10 years and he’s never done that before so I think he was just showing off for me. I was fantastically inspired by my brush with The Wild Things, so exercising creative license I went to work on a beloved (albeit macabre) English Nursery Rhyme. Be sure to scroll down for the pictures that inspired this literary masterpiece. See how they’re done. See how they’re done. They’re bred for food , it’s the Circle of Life. Snake’s jaw unhinges, devours in one bite! Have you ever seen such a fright in your life?! Look at the composition of this shot; I had NO idea the cross on the wall showed up in the picture. Heck, I didn’t even notice the cross until I saw the picture! Kevin makes me glad I’m warm-blooded. Bonus, if you are half as fascinated as I was–I recorded a few seconds of Kevin eating. And once again, I’m reminded why I don’t have a career in radio. "Enee, Menee, Mighty, Mo," my father-in-law couldn't wait to introduce us. He knew they would indefinitely hold me hostage, that I would thrill to their existence. Four baby birds living under his roof. Ordinary barn swallows (extraordinary to me). Darlings of nature. He urged me to see them the night I arrived, aware their nest was soon to be empty. A man who goes to the trouble of naming four baby birds understands why it's important to hurry. He didn't want me to miss their show. They look like little old men to me. I was spellbound. Those faces! Expressive, curious, alike and yet different. Objects of my affection, they were impassive to my intrusion. The only thing they cared about was their mama. I had no need for eyes in the back of my head; when she approached their body language told me she was on the way. Below is my favorite, captured with my iPhone; the only shot with all four beaks simultaneously open. They're a tiny aviary assemble! Barn swallows are sloppy nest builders. They have no regard for their host families. But for those who can look beyond the mess, they're fun and fascinating to watch. A few more of my favorites; I wish they were crisper shots, but I didn't realize until after the fact I needed to adjust settings. Look closely and you'll see the food in Mama's mouth. You can actually see the transfer of food! I was serious when I mentioned my father-in-law named them; he made a sign and posted it by their nest…. I thought it was Eenie, Meanie, Miney, Mo…but who am I to know how to spell?? But after observing them for a while, I would've renamed them…. Hi Ho, Hi Ho, it's off to…. Uh-oh…I think I've been spotted…! I call him Angry Bird. There's an app for that. I think I could give up television for good. Don't get me wrong, I enjoy watching my favorite shows, but give me a roaring campfire or a storm coming in on the horizon or a nest of baby birds and I'm entertained and mesmerized. 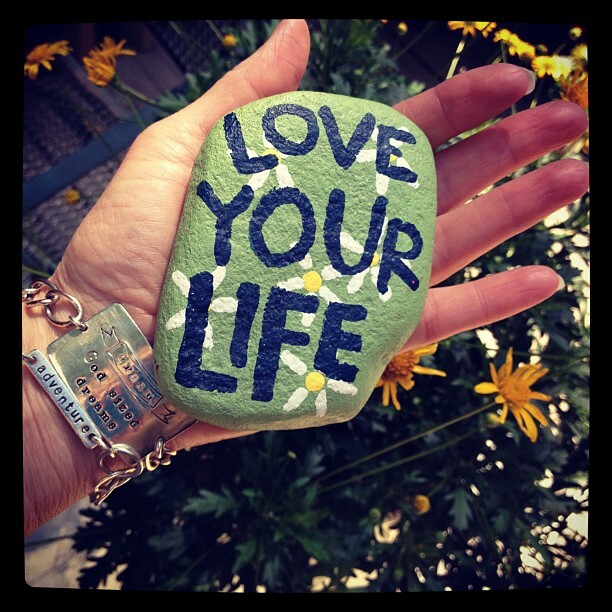 Does anything in nature do this for you? DO tell me I'm not the only one! …and she's the one that got away. April, 2012. Near Regensburg, Bavaria, in a centuries-old park. 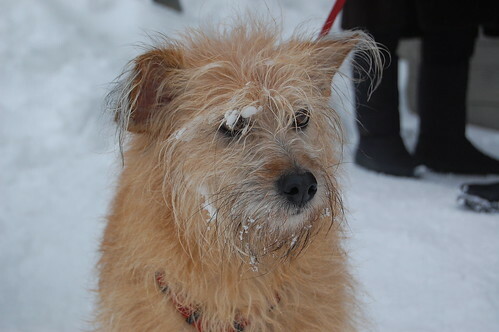 Ellie and Walter were kind enough to share details of their visit there in words and pictures. Walter captured a delightful story in this image…it made me smile as soon as I saw it. Be sure to click on the picture to see it larger–you can better see the large tulip bed from which this little maverick escaped! 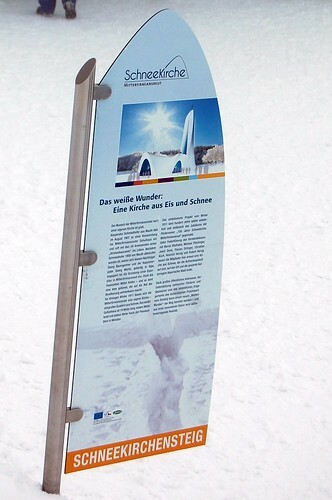 It has occurred only twice in one hundred years, during the winter of 1911 and again during this winter. The first was in a non-violent protest of sorts; the second a celebration and commemoration of the first. 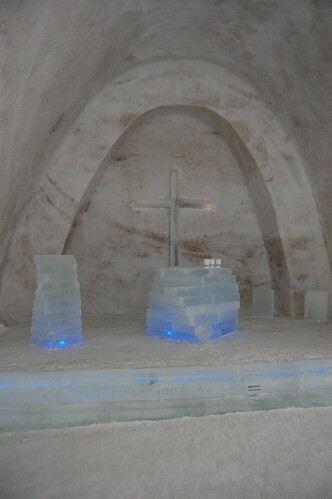 SchneeKirche, translated in English, Snow Church. Its singular beauty might have gone unknown to us had Deede, a fellow ex-pat from Tennessee, not invited us for a road trip to Mitterfirmiansreut, Bavaria, a small alpine town that shares Germany’s border with the Czech Republic. About two hours away, it was more than worth the drive and price of admission. …if we could have only seen where we were going! 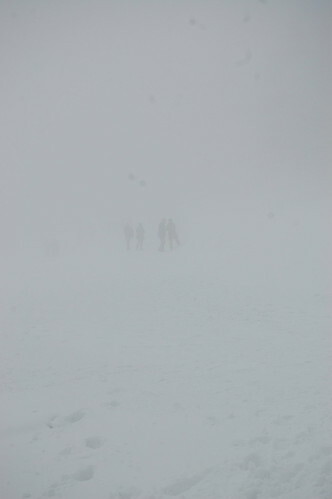 Visibility was about 25 meters. 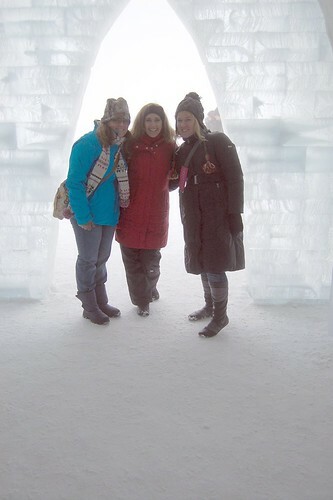 We were told not to touch the ice sculptures and I thought, “WHAT ice sculptures? 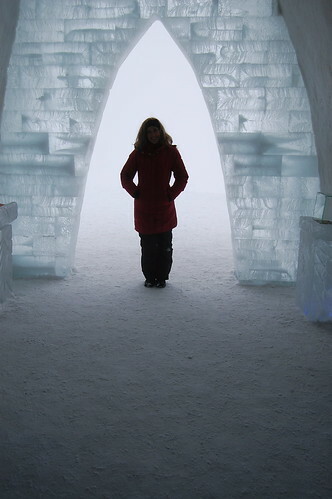 !” As our eyes adjusted to the thick fog, they seemed to appear when we were within touching distance. Mitterfirmiansreut, Bavaria, February 2012. My best guess is this is a representation of God protecting SnowKirche; that seems to be the little shape on the pedestal. 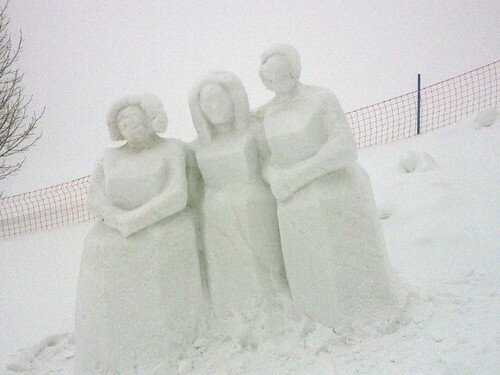 Snow Church’s welcoming committee, my favorite snow sculpture. As our eyes carve through the fog, SchneeKirche comes into view. 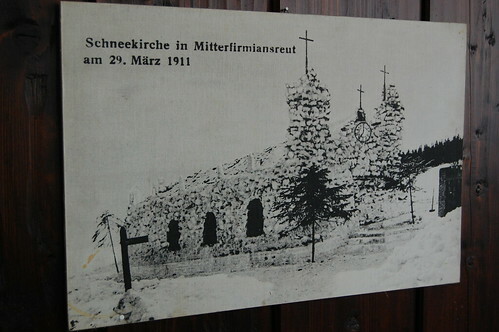 In 1911 when the original SchneeKirche was constructed, villagers built it in protest because officials wouldn’t build a church in their town; they were deemed too poor and rural. In order to worship, they had to travel a ways to a nearby town. 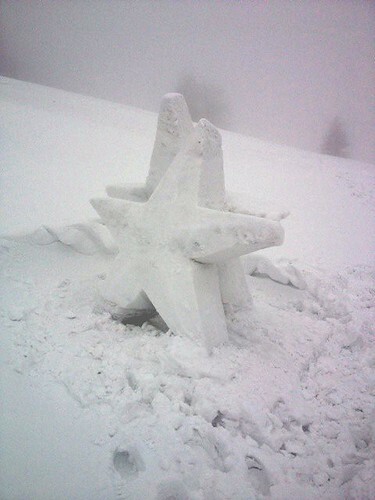 During December of that year, Mitterfirmiansreut had heavy snowfall, preventing townspeople from traveling. 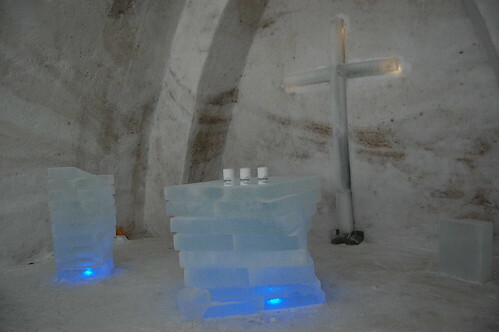 They decided to take matters into their own hands, and constructed a church from the only materials available to them: snow and ice. 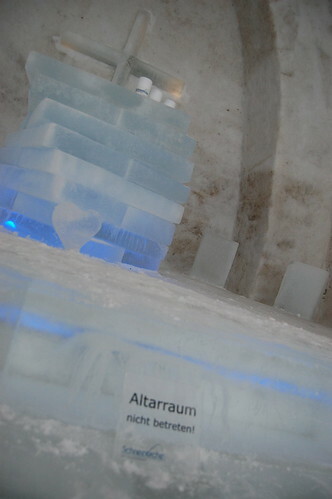 The winter of 2011/2012 marked SchneeKirche’s 100th anniversary, so locals decided to construct a modern snow church in commemoration of their history. 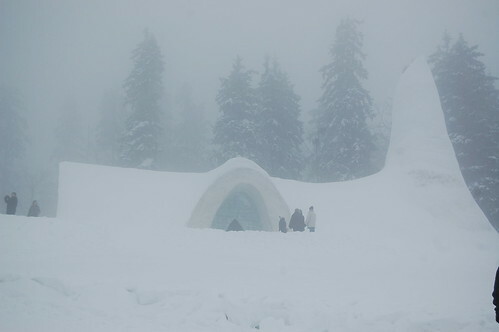 It opened in late December and they hope it remains intact through March. 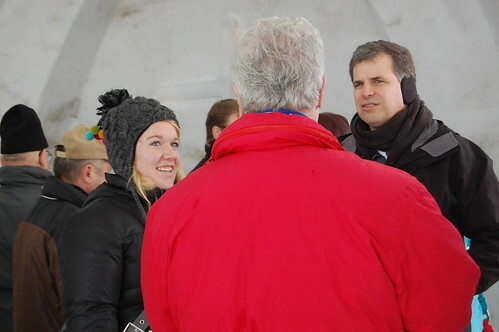 l-r, LeAna, who works with Tad, me, Molly, a translator. 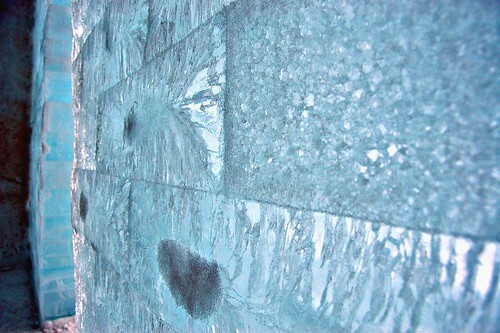 A close-up of Snow Church’s icy “bricks,” oddly my favorite picture of the day. Learning a bit more, at least Molly is because she’s fluent in German. SchneeKirche was funded in part by local sponsors and cost about €70,000 to construct, so I’m not sure if this money is used for locals in need or somehow to maintain the structure. Evidence we were here…at least until the ink melts into paper. 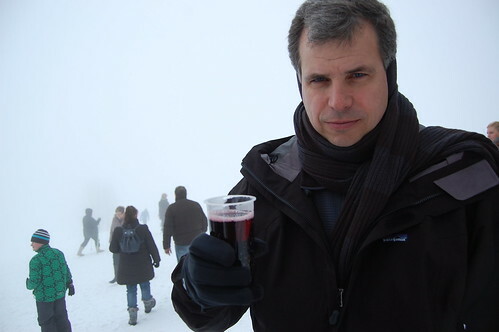 Hot, mulled wine, the perfect companion to our chilly tour. Not only is this the first time I’ve tasted Glühwein, it’s the first time I ever HEARD of it! 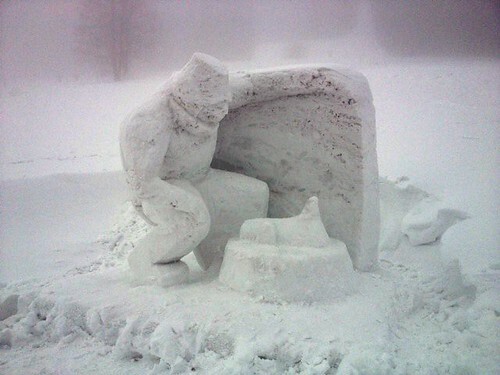 Apparently it’s very popular during the winter in Germany (Europe? 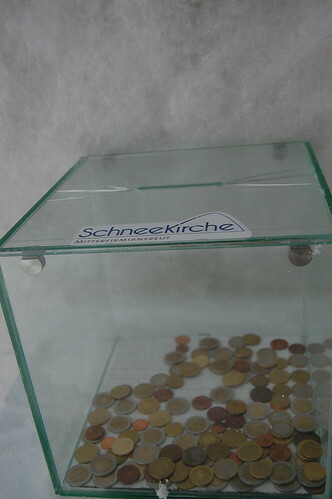 ), especially during their famed Christmas markets. bless his little snow-faced heart. 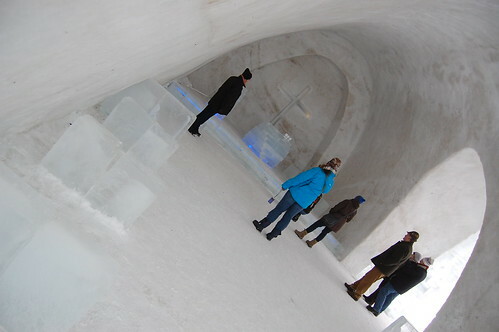 Currently, there are no plans to construct a snow church in future years; which makes it even more special to have discovered it and had the chance to visit!